Memberships run on an academic-year calendar, starting from September 1st through August 31st. Although we solicit memberships twice a year, you only need to sign up once. However, donations to the programs through sponsorships and to the scholarship fund are welcome anytime! Membership funds and your donations allow us to provide programs for the students in our community and scholarship opportunities for Nevada students enrolled at Harvard. Thank you for your interest in joining with the Harvard Club of Nevada. Please call on any us if you wish to apply your interests or energies to our continuing efforts. Harvard Alumni : please make sure you sign in with your HARVARD KEY so that we can confirm your address and degree information. If you are a parent or guest (Ivy Plus member, etc. ), you must click on the link for Non-Harvard alumni to apply for a login credential. Previous passwords utilized BEFORE September 22, 2015 will no longer work on our website. 1. 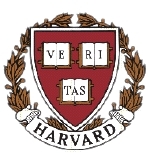 You must possess Harvard Alumni Association (HAA) login credentials [Harvard Key]. If you already have HAA login credentials [Harvard Key], skip to step 3. 9. Members have full access to all member pages, including the forum pages for posting.